The Family of Roy Marcus Coates sadly announce the passing of their father, grandfather and great grandfather on Wednesday, December 5th, 2018 at the Dr. F.H Wigmore Hospital in Moose Jaw. Roy was born in Chaplin on March 27th, 1920. He grew up on his parent’s farm north of Shamrock. His love of farming was firmly established in those early years and defined him as a man. Roy served briefly in WWII with the Royal Canadian Ordinance Corp. before being required back at the farm. He married Hazel Hyndman of Teeterville, Ontario on December 22nd, 1941. They soon purchased their own farm, which they lived on until 1956. They moved first to Elmore, Minnesota for the winter before settling in Onida, South Dakota. From there Roy established a custom combining operation, which started each season in Texas and worked north until taking off the crop in Saskatchewan. They returned to the Saskatchewan farm in 1965 and soon bought more land. He stayed there until he was 95. His home then became Iver Main Place in Central Butte. The family would like to sincerely thank the staff at Iver Main for their compassionate and kind care. Roy was a very inventive man. He adapted and developed several things over the years. He put tandem tag wheels on his 5 ton truck before they were commercially available. He built a dual action snow plough that is ready for the worst snowstorm that Mother Nature could conjure up. He also made a hedge trimmer from a lawnmower that was easier to use as he aged. When Roy gave up cattle, he was 80 years old. He farmed until he was 95 and was very reluctant to stop at that age. It was a tossup whether horses or tractors were his favorite acquisitions. Roy always wore his cowboy hat proudly. Roy was predeceased by his loving wife of 71 years, Hazel; son-in-law, Ken Sanders; parents, Wes and Bertha Coates; sister, Agnes Hagerman; brothers: Albert Hagerman (Doris) and Glen Coates and brother-in-law, Roman Hojenski. He is lovingly remembered by his children: Wayne (Bev) Coates, Sharon (Chuck) Hank, Dale (Linda) Coates and Marilyn Sanders. 12 grandchildren, 25 great grandchildren and 11 great great grandchildren. He is also survived by his brother, Dennis (Jean) Coates; sister, Donna Hojenski; sister-in-law, Sherry Coates and numerous nieces and nephews. In keeping with Roy’s wishes, a private family service will take place. Arrangements are entrusted to Moose Jaw Funeral Home, 268 Mulberry Lane. 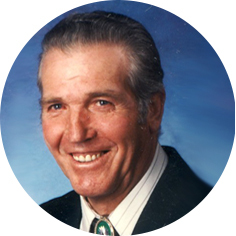 Calvin Gammel, Funeral Director 306-693-4550. I will truly miss my weekly visit with Roy. He always had a smile for me and a great visit we had even though he was hard of hearing we were able to have great conversations. He was very proud of his family and his cowboy hat. RIP Roy. Roy was simply one of the nicest and most kind persons to enter into my life. He was truly one of a kind and his was a life well lived. I suspect many lessons were learned by just watching him. He was the role model that we should aspire to live by. He was so proud of his children and grandchildren. He loved reliving memories of combining, farming and being with his horses. He will be missed by all of us who were given the privilege to be around him these past few years. Our deepest condolences to you all, Roy’s family. AL had coffee with him on more than one occasion and found him to be very fine man. A real gentleman. Take care. Our thoughts and prayers are with you. Our deepest sympathy to Dale, Linda and family, Wayne ,Bev and family and Sharon, Chuck and family. Sorry for the loss of Roy. My condolence to Wayne, Bev, and all of Roy’s family.